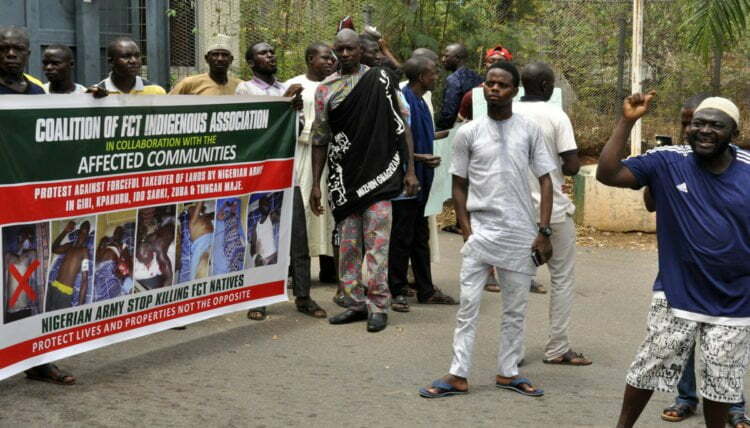 Members of a coalition of FCT Indigenous Association, have protested against the forceful take over of their land by the Nigerian Army in Giri, Kpakuru, Zuba, Ido Sariki and Tunga Manje of FCT in Abuja. 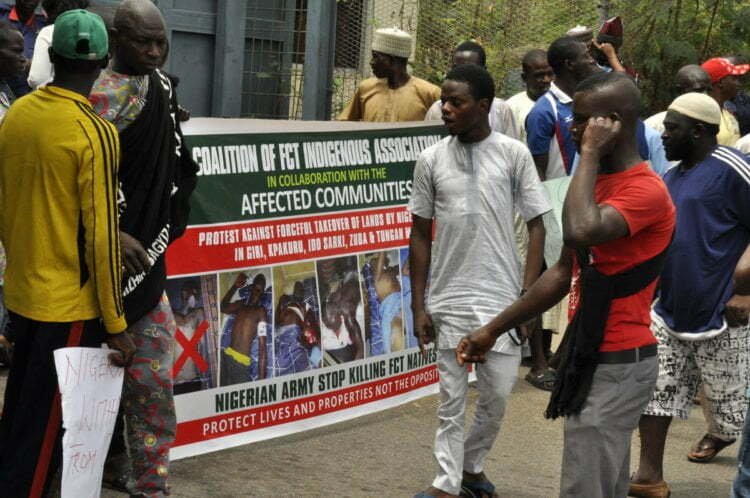 Naija News reports that a man was killed yesterday, during a clash between residents and soldiers in Tunga Maje, sparking protests and causing a blockade at the Kaduna-Lokoja road. The clash began Tuesday and continued into mid-noon yesterday.